I am well aware that this post could easily be interpreted as an infomercial so I just ask that you bear with me, and I promise to keep it short. There are several things that have always deterred me from using a personal trainer. In part, it is because I don't feel like I can afford the time or money that would be required, and my goals of generally staying fit don't seem specific enough to warrant coaching or specialized training. Frankly though, the biggest reason is that, even at my super-fancy gym, I rarely see anybody that seems to be that good, or working their clients that hard, that I would spend hundreds of dollars to have them guide me through a weight routine. I guess I understand getting a personal trainer if you are new to working out or have very specific goals, but in my own life I haven't really observed the need or benefit. That being said, the reason I like group exercises classes like spin or GRIT is that when someone is telling (yelling at) me to work harder or do more, I generally do it and in that sense I get a much better workout than if I was just working out alone. I can't always make it to a class within the constraints of my schedule though and therein lies the problem. I am pleased to share with you that I have found the closest thing there is to a solution. 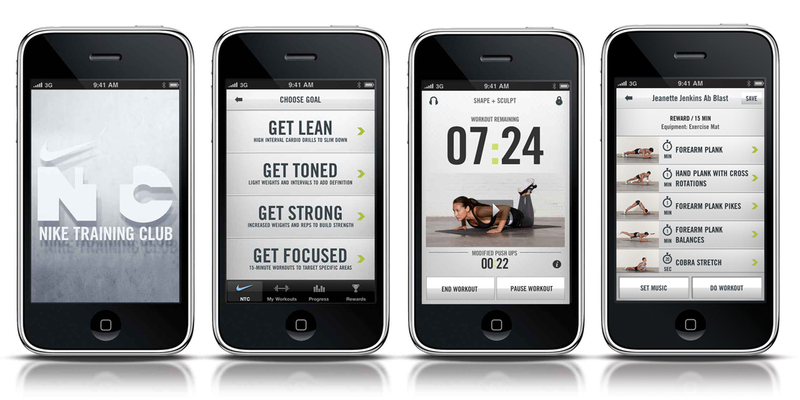 The Nike Training Club app for my phone. In 15 minutes I can get an awesome workout, anywhere, anytime. I really do mean in 15 minutes. A droid-like voice guides me through an incredibly tough workout, with helpful images, demonstration videos and encouragement like "you can do it", "be strong", and my personal favorite "10 seconds to go". You can choose to focus on abs, legs, upper body, cardio, etc. Many of the workouts require, or can be done with, no equipment beyond your own body weight resistance and I promise you that after 15 minutes you will feel tired and awesome. You can do 30 or 45 minute versions of the workouts too, but I personally like the satisfaction of working my tail off for 15 minutes and then being done. 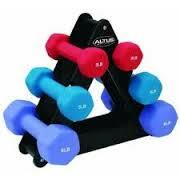 I will often combine the workouts too, like 15 minutes of legs and 15 minutes of abs. This duration and intensity is the perfect compliment to a 30 or 45 minute run, when you want to round out your workout for the day. Give it a try. I promise you that on those days where all you have time to do is squeeze in 15 minutes of working out, or when you are traveling for work or vacation, the NTC app is an awesome solution to something is better than nothing. Wow! For a working mom, workout mobile apps are very helpful to keep an active lifestyle and to squeeze in exercise, even for a few minutes a day. Everyone should have this app on their phones or gadgets so they can do it anywhere and they won't have any excuse about not exercising.